A tragi-comic condemnation of the transformation of television news into entertainment, Network is scathing satire at its finest, a talkfest with a lot to say delivered by a cast of performers in peak form. 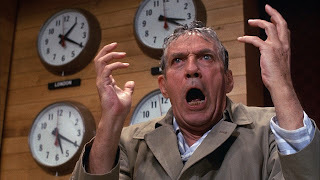 Veteran news anchor Howard Beale (Peter Finch) of the fictitious UBS network is two weeks away from retirement. Depressed, he has an enraged on-camera meltdown and threatens to kill himself live on the air the following week. His boss and friend Max Schumacher (William Holden), the head of network news, is horrified, as is Frank Hackett (Robert Duvall), the chief representative of CCA, the bottom-line obsessed conglomerate that owns UBS. 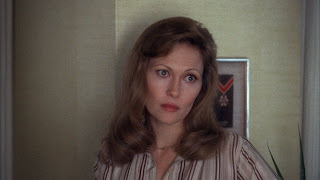 Hackett demands that heads should roll, but Diana Christensen (Faye Dunaway), head of programming, spots an opportunity: Beale can be transformed to an angry modern day messiah, the news broadcast re-imagined as an entertainment spectacle with Beale the centrepiece railing nightly against all the world's injustices. Walking a fine line between theatrical and genuine madness, Beale delivers another on-air rant with the signature line I'm as mad as hell and I'm not going to take this anymore!, galvanizing the viewing public and delivering a huge ratings boost to his new show. Meanwhile, Christensen starts a romantic entanglement with Schumacher, threatening his marriage to wife Louise (Beatrice Straight). Diane also keeps pushing UBS towards new boundaries of entertainment, insisting on broadcasting a show that celebrates the real-world criminal activities of a far-left group. With Arthur Jensen (Ned Beatty), the head of CCA, taking a personal interest in Beale's show, events on the air and behind the scenes hurtle out of control, with lives and careers careening towards an unmanageable wreck. Directed by Sidney Lumet and written by Paddy Chayefsky, Network is a tour de force of smart commentary about the influence of commercialism on television. Built around a series of startling monologues seamlessly intertwined within the story arc of television's descent to the lowest common denominator, Network is a spellbinding experience. 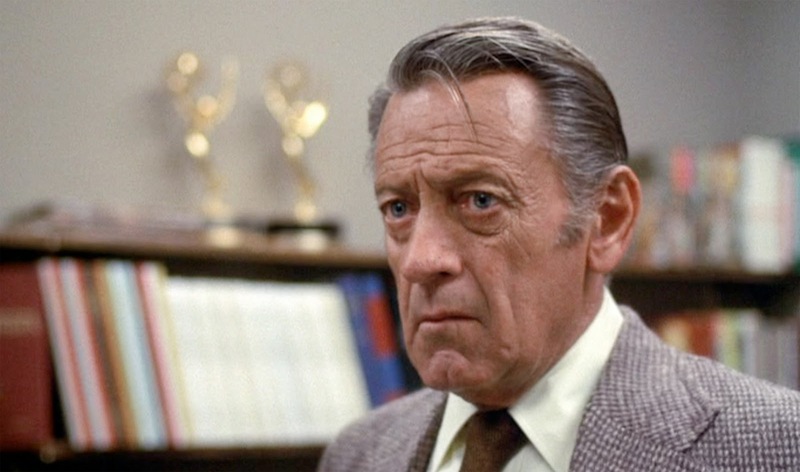 Chayefsky won the Academy Award for original screenplay, and he pinpoints the corporate influence on television as an irresistible force in the wrong direction, the investment of huge dollars demanding a return and driving decisions towards satisfying the basest instincts. With a new generation of executives exemplified by Faye Dunaway's Diana Christensen much more interested in television news as a money-making show rather than an avenue for the distribution of essential information, the old school are brushed aside or nonchalantly abused. Christensen is a most intriguing character, Dunaway winning the Best Actress Academy Award for portraying a charming, driven, passionate, smart, persuasive, impatient and extremely lonely woman. She recognizes her strengths and weaknesses, and matter of factly states that her need to satisfy emotional and physical urges has more in common with men than women. Her relationship with Schumacher is a desperate attempt to bridge generations, both finding in each other everything that they lack and all that they cannot tolerate. 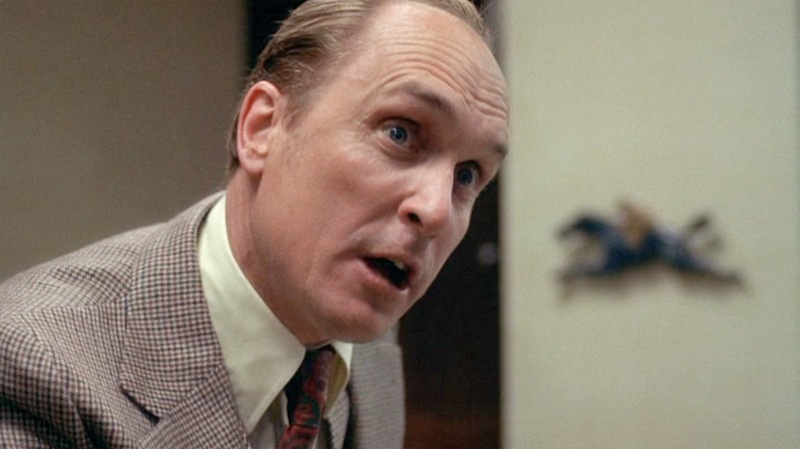 Finch also won the Best Actor Academy Award (posthumously) for the much more showy role of Howard Beale, a man at the centre of the drama but only in the sense of wishing to go out with a bang and being mercilessly used by everyone around him. Schumacher is his only friend, and yet even Max's acquiescence to Howard's requests for continued air-time contribute to Beale's mounting insanity. Certainly Schumacher's liaison with Diana represents sleeping with the ideological enemy. Robert Duvall and Ned Beatty are extraordinary representations of the new corporate voice dominating programming decisions through ambitious talent like Christensen, and both get to deliver wall-shaking speeches confirming a new world order in which the almighty pursuit of money and ratings trumps all, although when Beatty's Arthur Jensen gets involved, even profit takes a back seat to the on-air glamorizing of the corporate agenda. 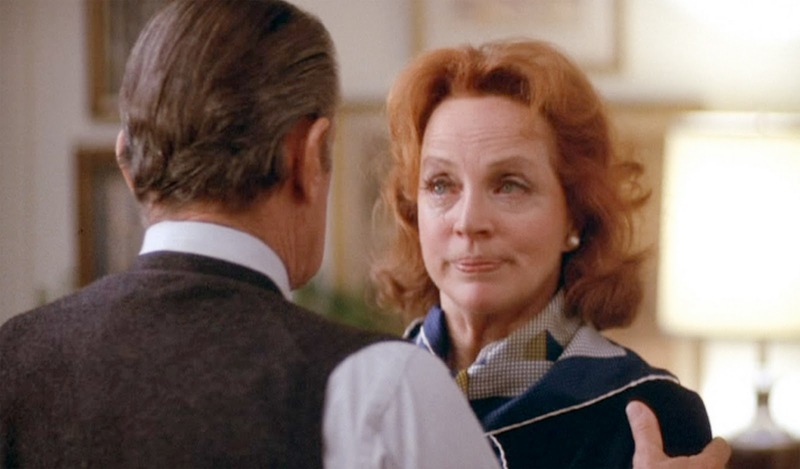 The depth of talent and the quality of performances extracted by Lumet extended to Beatrice Straight, who famously won the Best Supporting Actress Academy Award for the briefest of roles. During her limited screen time she delivers a sharply emotional monologue as Louise Schumacher attempts to decide if her marriage is worth saving. Network predicted television's demise to a freak-show dominated race to ratings, a condition that continues to paralyse most of the medium. Chayefsky took television's demise to its extreme, forecasting exclamation marks of exploitation and violence that would only come to fruition a couple of generations later. 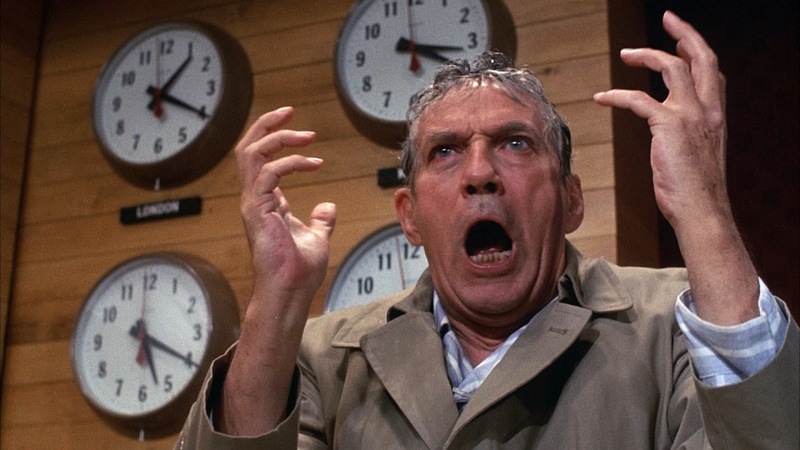 Network not only shone the spotlight on television's current and future failures, but also brilliantly exposed the human predilection to descend into the soul nullifying pursuit of the wrong objective.